Das innovativste Produkt der Messe ist der „Anarchy Block“ von Pearl – ein Woodblock mit Pieksern und Anarchy „A“. 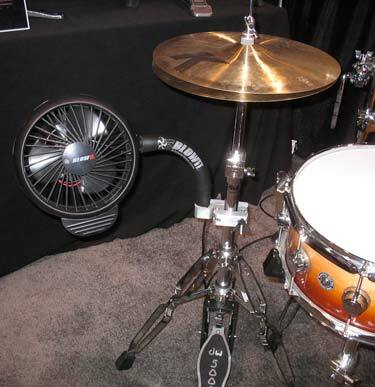 Passend dazu auch die „Anarchy Cowbell“. Endlich können junge zornige Drummer ihre Wut auf alles auch über die Optik ihres Instrument Ausdruck verleihen – ein Privileg, welches sonst den Gitarristen vorbehalten blieb. Begrüßenswert! SSLs X-Logic Rack-Reihe zählte im letzten Jahr zu den interessanten Neuentwicklungen auf der Messe (Videolink). Nun gibt es endlich auch den Buskompressor für die Racks, über den ich hier wohl keine Worte mehr verlieren muss. Dass neue Input-Modul hat auch eine spaßiges Feature: den von Phil Collins 80ies Platten bekannten Listen Mic Compressor, der so schön viel Bass klaut und alles Scheisse klingen läßt, was im Mix dann wieder verdammt gut klingt. The Stereo Bus Compressor Module answers the clamor from customers for the audio legend that is the center section compressor from SSL G-Series Consoles to be made available for the X-Rack system. The module, which is the first double width module occupying two X-Rack slots, is a simple unit with a simple purpose; it makes complete mixes sound bigger, with more power, punch and drive. It brings cohesion and strength to the mix without compromising clarity. The Stereo Bus Compressor Module delivers the classic tonal characteristic of the G-Series Compressor but with the added benefit of the ultra high bandwidth, ultra low noise SuperAnalogue™ circuit design. The classic Threshold, Attack, Ratio, Release and Make Up controls make the module extremely simple to operate. True Stereo Side Chain Input is accompanied by a ‚link‘ feature that enables multiple Stereo Bus Compressor Modules to be combined for surround processing. * Classic sonic character and mix finalizing capabilities of SSL Stereo Bus Compression. * True Stereo side-chain Input for external signal keying. * Link control enables several modules to be combined for surround compression. 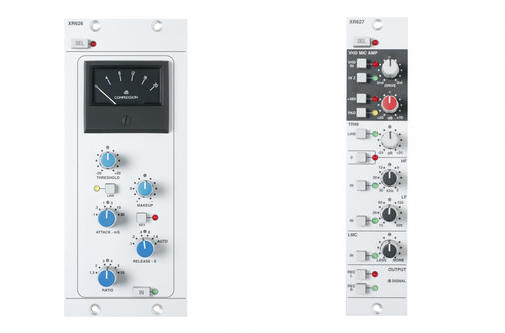 * Gain reduction meter as fitted to the classic SSL console range. * Electronically balanced XLR connections. The VHD Input Module combines some classic SSL heritage with a generous helping of cutting edge circuit design to deliver a devilishly warm and dirty alternative to the pure X-Rack Mic Amp Module. The VHD Input Module is based on the input section of the popular SSL E-Signature Channel 1U rack processor. The VHD Input module combines five key elements; a high bandwidth mic amp stage that can handle mic, instrument or line inputs, SSL’s innovative Variable Harmonic Drive circuit, an additional line input/trim control section, a set of High and Low Pass Filters and the classic Listen Mic Compressor. SSL’s unique VHD system is a 100% analogue circuit that adds a variable blend of 2nd or 3rd harmonic distortion to your signal. At relatively low input gain settings ‚VHD‘ preamps deliver ultra-clean recordings. Increase the input gain and adjust the VHD control and the user can inject his source recordings with anything from ’50s valve-style overdrive through to hard-edged ’70s transistor-style grit or any blend of the two. When loaded with Mic Input, VHD Input, EQ and Dynamics Modules, X-Rack can now be configured as an exceptionally high quality and extremely versatile recording and processing system to serve as the perfect front end with the capacity to add analogue shimmer to potentially cold DAW recordings. * Hi-Z and Pad Switches on Mic Amp Input. * Dedicated Additional XLR Line Input. * Variable Harmonic Drive circuit; adds a controllable blend of 2nd or 3rd Harmonic distortion. * Dedicated Trim control after the VHD stage. * Classic Listen Mic Compressor with fixed attack and release curves, ideal for drums. * High and Low Pass Filters. Based on SuperAnalogue™ electronics from SSL’s XL 9000 K Series console, X-Rack is a modular rack system with Total Recall™ that delivers the classic SSL sound in a uniquely versatile form. Each X-Rack chassis holds up to eight modules in any configuration; with the introduction of these new modules eight different modules are offered. The hugely popular X-Rack delivers the very highest-quality analogue recording and summing path and is the perfect configurable solution for studio or live applications. Zeitgleich mit dem AKAI-Godzilla kommt der kleine Mothra auf den Markt. Leicht und Batterie-gepowert kann man damit ähnlich der MPC 500 unterwegs produzieren. So, jetzt brauch ich auch so einen Flockensynth: Access bauen einen Realtime-Audioslicer in ihre Virus TI/Snow Synthesizer ein, und das für lau mit einem der nächsten OS-Updates! Wie cool ist das denn?!?!?! Access Music shows a technology preview of Atomizer on the winter NAMM show in Anaheim, California. Atomizer allows you slice and dice audio in realtime using a MIDI keyboard. Ser effects were made famous by artists including Aphex Twin, Trentemoeller, Squarepusher, BT and many others. 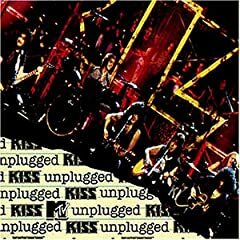 In order to create those effects they either had to chop audio regions by hand or use semi-automatic plug-ins (which don‘t necessarily give you a great deal of control since they are intended to create random results). Atomizer works in a totally different way — once sync‘ed to tempo you can play those slices in realtime, so you can virtually chop up your singer’s voice while he’s performing or add unique effects to your DJ set. You can record the slicing process into your sequencer and edit it later along with the rest of your song. You can remix in realtime as well, with the modulation wheel becoming an intelligent cross-fader, while the pitch-wheel lets you change the pitch by approximately 4 octaves. And there are tons of effects including sample rate and bit rate reduction algorithms which, again, can be used in realtime and become a part of your performance. Den Preis für die aufwändigste Vapourware gewinnt Spectrasonics mit ihrer extrem elaborierten Kampagne zu ihrer neuen Dampflok STEAM-Synthesizer Omnisphere. Checkt allein mal die Preview. Ganz schön viel Dampf für ein Plug-In, dass erst in 8 Monaten erscheint. Und welcher Marketing-Guru hat sich bitteschön den Begriff „Power Synth“ einfallen lassen? Genug Dampf abgelassen (oh my God he went that far), ich bin gespannt auf die ersten Demos! Public-Beta? Bitte ja? JANUARY 2008 — After many years of development, Spectrasonics previewed their brand new flagship virtual instrument Omnisphere® at the Winter NAMM show. The revolutionary ‘Power Synth’ breaks completely new sonic ground by combining a wide variety of hybrid realtime synthesis techniques, an epic library of remarkable ‘Psychoacoustic’ sounds, and many innovative features that have never been seen before in any hardware or software synthesizer. The new instrument is the first to be based on Spectrasonics STEAM Engine, the company’s newly developed core technology. Omnisphere is set to be released September 15, 2008, the MSRP is $499 US and 399 Euro. Acclaimed virtual instrument developer Spectrasonics, debuted its new ‘STEAM Engine’ core technology at the Winter 2008 NAMM show. The new software, created by the company’s in-house development team, will be used as the basis of all future Spectrasonics performance instruments, just as its core S.A.G.E. 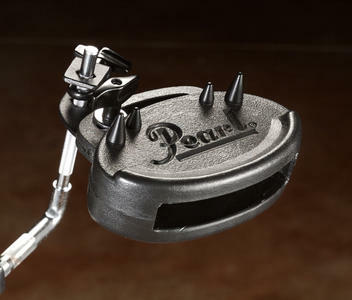 technology is used for groove-based instruments like the popular Stylus RMX. STEAM is important to Spectrasonics future because it completes the technology transition from earlier performance virtual instruments that were based on the licensed UVI Engine. Virtual instruments built with the multitimbral STEAM Engine offer many development possibilities into a variety of hybrid synthesis and control capabilities including high-resolution Streaming Sample Playback, Integrated FX, Variable Waveshape synthesis, Granular synthesis, FM synthesis, polyphonic Ring Modulation, Timbre Shifting, and a comprehensive Flex-Mod™ modulation routing system, to name a few. Virtual instruments powered by STEAM also have unlimited expansion possibilities. The new core software is flexible and open – allowing patches to be shared across hosts and computer platforms. Spectrasonics can also add new patches and sounds to the core library giving the user an ever-expanding sonic palette. In addition, all Spectrasonics virtual instruments based on S.A.G.E. and STEAM technologies can interact in musically useful and innovative ways for a smoother creative flow. 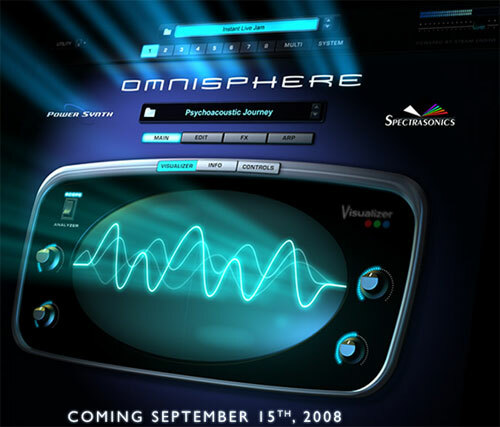 The first virtual instrument built with the STEAM Engine, Omnisphere®, is set to be released September 15, 2008, and has a suggested retail price of $499 US. Future STEAM-based instruments are TBA. Its getting bigger every day: die geliebte MPC wird zu einem Monster der Audioproduktion. Wer sich Godzilla ins Studio holen will, ist damit bestens beraten, sollte aber auch durchaus bereit sein, für die Schäden im Geldbeutel aufzukommen. LEGENDARY MPC FEEL AND WORKFLOW WITH A GREATLY EXPANDED FEATURE SET. The MPC series set the standard for beat production. What would it take to make the ultimate MPC? Dozens of engineers, 20 years of experience and a new synth and drum sampling engine unlike any MPC ever. Introducing the MPC5000; the new standard for music production. The MPC5000 is the first MPC ever to include 8-track streaming hard disk recording, a 20-voice, 3-oscillator analog synthesizer with arpeggiator, a new sequencing engine with 960 ppq resolution, pad and track muting and mixing, 64 continuous sample tracks. There’s even a new FX engine with 4 FX buses and 2FX per bus. 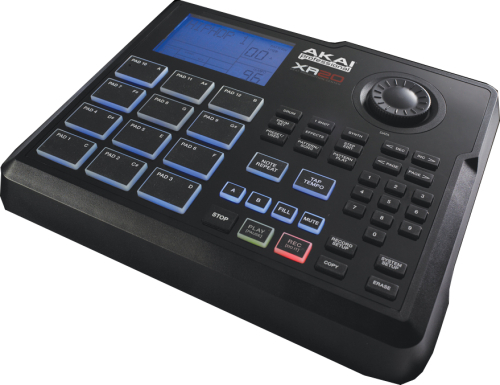 In addition, the MPC5000 features a 64-voice drum/phrase sampler with 64MB memory Ð expandable up to 192MB. The display is twice the size of the MPC2500 and MPC1000 so waveforms appear crystal-clear. Integrated Chop Shop 2.0 now supports stereo chops and Patched Phrases. The MPC5000 is the first MPC to include Random and Cycle sample playback in addition to velocity Zone Play. A turntable preamp is also included. The MPC5000’s virtual analog synth eliminates need for external analog synth modules or buggy software based synthesizers. The new 8-track direct to disk recorder lets you produce your whole song in the MPC and then mix it down with the internal sequenced programs and any input thru material. Add the optional CD/DVD drive and you can then burn an audio or data CD or your mix. Over 650MB of premium-quality sounds from Loopmasters are included to get you up and running with pro-quality production in seconds. Preis: happig, doch bei uns bald sicher durchaus günstig. Die Welt wird immer schöner für Laptopproduzenten wie mich: SSL packen ihr fantastisch klingendes Duende-System in eine kleineres Gehäuse. Leider halbiert sich dadurch die Anzahl der Kanäle, die man mit SSL-Effekten verschönern kann auf 16, doch es gibt eine Upgrade-Optionauf 32. Und wer wie wir schonmal das große Gerät in den CD-ROM Slot eines AUDIOKERN gequescht hat, weiss, das Größe echt nicht alles ist. Duende is based on the powerful DSP technology behind SSL’s acclaimed C-Series digital consoles and Mini ships with the ‘EQ and Dynamics Channel’, a plug-in developed by SSL to provide an EQ & Dynamics processing solution with all the power and processing flexibility of an SSL console channel. I love URS! Alle ihre Plugins sind Pflichtkäufe, so auch dieser Saturator. Get it solange es nur 199$ anstatt 249$ kostet – am liebsten natürlich über uns. Try the different URS Saturation algorithms on all your favorite tracks – Drums, Guitars, Bass, Keyboards and Vocals. Hear the added warmth! This algorithm digitally recreates the characteristics of a American tube mic pre amplifier that was popular in recording studios during the 1960’s Motown era. Setting the drive control higher will add desired harmonics and tube soft clipping for a much more pronounced effect. This algorithm digitally recreates a German tube mic pre amplifier that was popular in European recording studios during early 1960’s Beatles era. This type of tube pre amplifier is coveted for it’s unique distortion, presence and authority in the treble ranges. This algorithm digitally recreates the sought after classic British console all discrete mic pre saturation. This vintage amplifier was also used for the console’s summing buss amplifiers. The added harmonics create the edge that is desired in both Rock and R&B music. This algorithm digitally recreates a modern JFet mic pre amplifier that comes the closest of any discrete device to tube saturation. Although similar to a tube it has its own unique harmonic structure and sound. Allows you to blend the right amount of Saturation with your source material. No need to use an additional parallel track or Aux send to get blend effects. At the 100 % Wet setting the Mix Blend Control is disabled. The URS Saturation plug-in features an adjustable output control after the Mix Blend control to balance the final effect with your insert chain. The URS Saturation plug-in Hi Resolution 64-bit floating point „Double Precision“ processing for increased clarity and headroom. Why mention this clarity for a plug-in that reduces saturation? Because, we designed the URS Saturation plug-in to reproduce Analog style saturation not Digital! 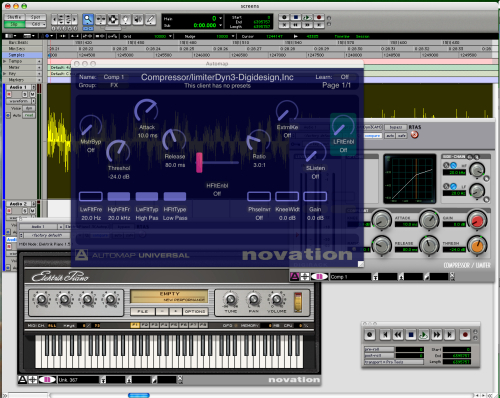 The URS Saturation plug-in currently supports Audio Units and VST for both Mac OSX. RTAS is currently supported with a VST to RTAS Wrapper only (not included). A TDM version is planned and will be released at a later time for an additional charge. Logic Studio 8.x, Logic Audio 7.x, Digital Performer 5.x, Cubase, Nuendo, Bias Peak, Abelton Live – fully supported for Mac OSX Leopard 10.5.x and Tiger 10.4.x. Und nun endlich Futter für die Gearslutz unter euch: der ANAMOD AM660 – eine Rekreation des Fairchild-Limiters im Serie 500 Format. Das will ich unbedingt testen! Schade nur, dass ich keinen Original-Fairchild bei mir rumstehen hab ! Es war nie eine schönere Zeit, sich eine Lunchbox zu holen und sie mit fantastischem Gerät vollzustopfen! 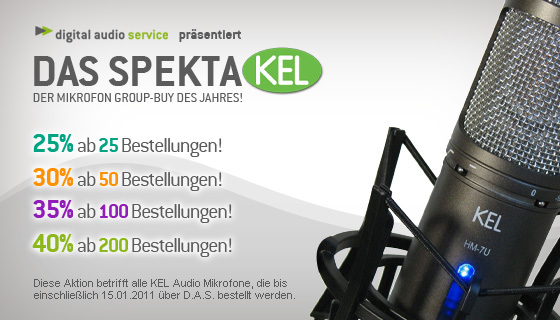 Checkt unser Special dazu hier. Freakading ick hör dir trapsen – ein Fußpedal von MOOG, das MIDI und CV ausspuckt! Damit kann man Tempo-Gesyncte LFO-Sweeps an seine analoge Kisten weitergeben, ohne die Hände zu benutzen! Find ich super, bin gespannt auf den Preis! Sonst gibt’s von Moog noch eine Old-School Edition des Voyagers, was man sich darunter wohl vorstellen mag? Stay tuned! 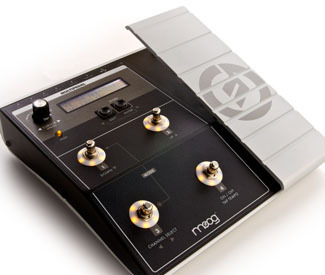 The Multi-Pedal is a programmable four channel CV/MIDI foot pedal controller. 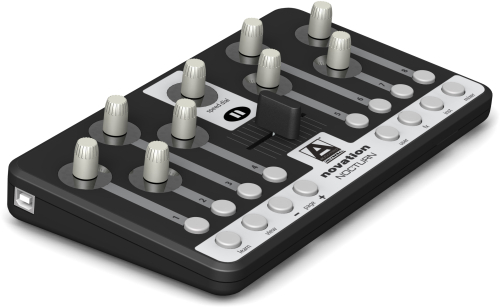 It has four analog control outputs, MIDI In & Out and USB connectivity (MIDI over USB). It can transmit controller information on up to 4 MIDI channels and CV outputs simultaneously. Each CV output can be programmed individually. Signals can be foot pedal controlled analog control voltages with +/-5V limits, LFO waveforms or GATE voltages (0V=Off,+5V=ON). In addition, each channel can output MIDI CC’s over specified MIDI channels simultaneously with the analog CV outputs. - LFO signals are scalable and can be synced to MIDI clock, tap tempo, each other, or free-running. Single Channel Mode, Quad Channel Mode, Preset Mode, Edit Mode, and Utilities Mode. Single Channel Mode uses the footswitches to select programs, channels, turn on/off channels, select tap tempo function, enter tap tempo. Quad Channel Mode turns channels 1-4 on/off with footswitches 1-4 and uses the footpedal as an expression pedal for channels 1 to 4 simultaneously. Preset Mode defines the user programmable presets. A collection of 4 programmed channels is a preset and there are 100 editable presets. Edit Mode programs the preset mode. Aaaaah, endlich was Feines! Als Ableton/Cubase-User war ich begeistert von den Automapping-Features der Remote SL Serie (ihr Logic User da draußen wohl leider eher nicht), die bei mir auf Anhieb funzten. Jetzt gibt es Automapping 2, das wie ein Eurofighter-Style „Heads-Up“ Display funktionieren soll. Das heißt, ihr seht sofort, welcher der Endlos-Drehregler mit was belegt ist mittels einer Schablone über dem aktiven Plug-In. Klingt super, wie funktioniert werden wir testen! Der neue Nocturn-Controller, von dem ihr hier ein CAD-Mockup seht, könnte eine gute Alternative zu den Firefox-Kisten werden. 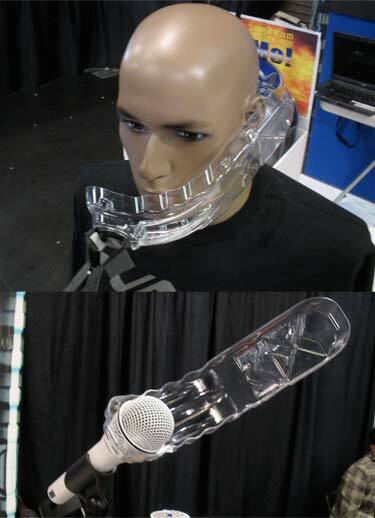 Featuring a revolutionary new ‚heads-up transparent control GUI‘, Automap Universal 2.0 places a transparent control map across your computer screen, to be recalled or hidden at will. Little or no user setup is required, and plug-in control can be customized to be laid out just the way you like it, no matter what music software you use. Simply boot up the plug-in, and you’ll see at a glance how the parameters are automatically assigned to each of Nocturn’s controls. An instant click and control ‘learn’ function is also available for quick re-assigning of controls, or for creating your own controller map in seconds. Multiple page options mean that you can assign a potentially infinite number of parameters for each plug-in. Du browst gerade in den DIGITAL AUDIO SERVICE Weblog-Archiven nach der Kategorie 'NAMM 2008'.